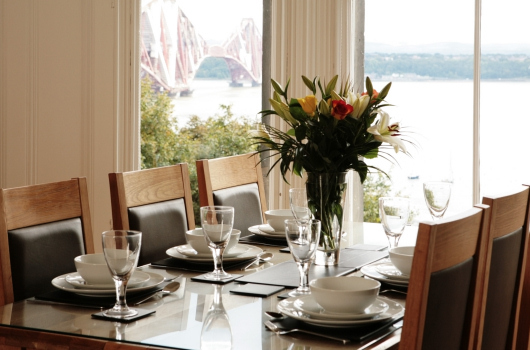 On the first floor of Northcliff House in North Queensferry, Fife, near Edinburgh, Cleish is our premier self-catering serviced apartment. 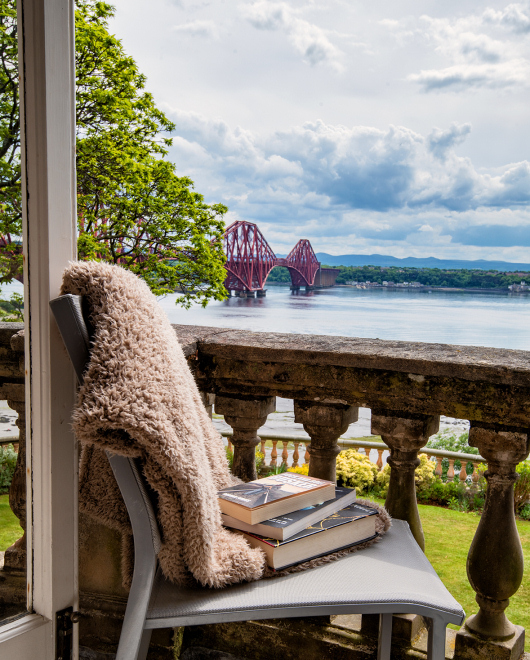 From the large upstairs bay windows and balcony, you can soak up a unique view over the River Forth and its famous bridges. You will enjoy relaxing in the peaceful surroundings of Northcliff, with the gentle hum of life on land and on water in the background. It is an especially enchanting place in the evening as you watch the lights dancing over the water. 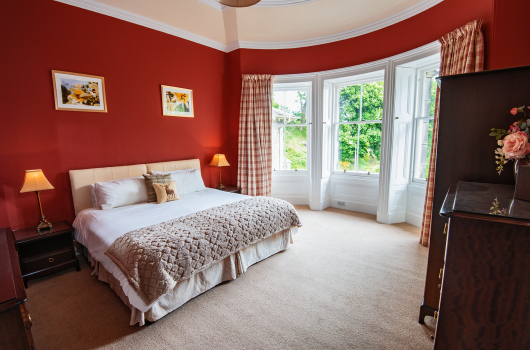 This serviced apartment is an ideal base for a business stay, with Rosyth, Dunfermline, Edinburgh and the South Gyle business centres all easily accessible. 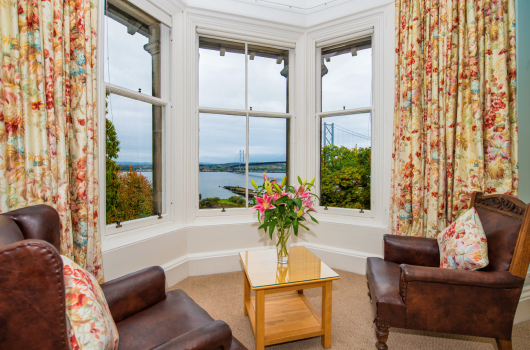 Spacious, beautifully proportioned lounge with feature fireplace and great views from the large bay window over the Forth Rail Bridge (a UNESCO World Heritage Site) to South Queensferry and the Pentland Hills beyond. 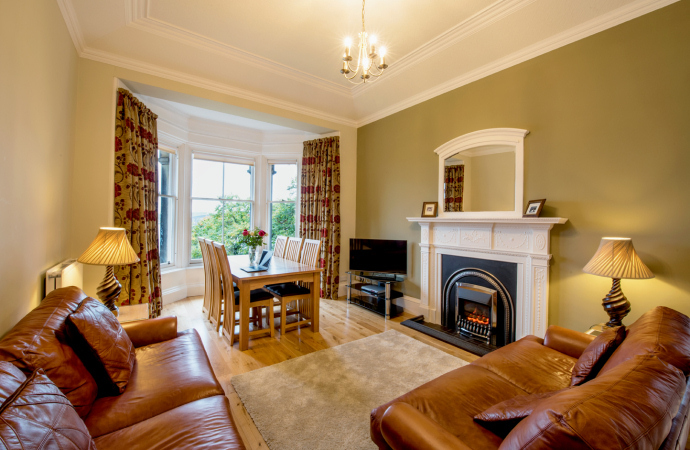 Dining area in the bay window for relaxed meals or for catching up with work while enjoying the views. The kitchen boasts a French door for access to the balcony - what a view! 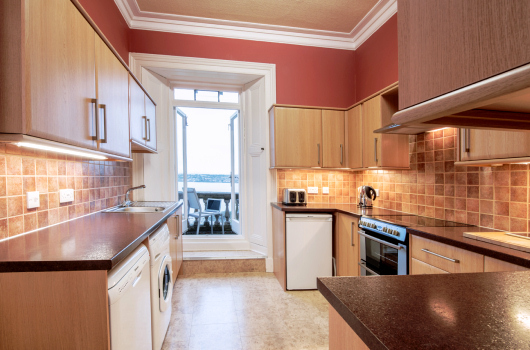 Well equipped with electric hob / oven, washing machine, drier, dishwasher, fridge, microwave and coffee machine. Large, walk-in cupboard containing the freezer and additional storage space. 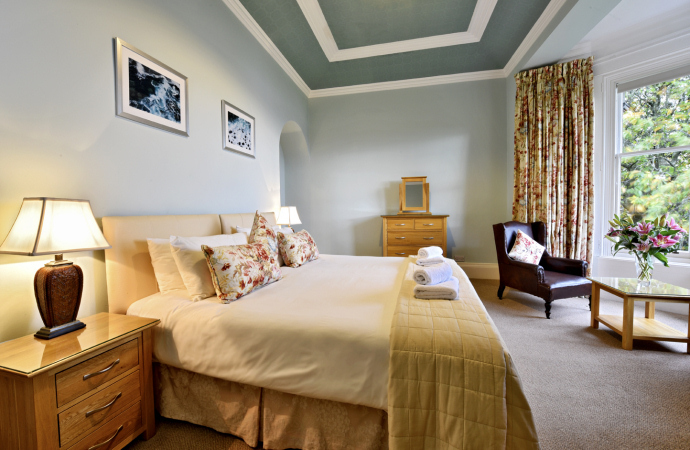 Bedroom one is a large room with window seating from which to enjoy the spectacular views. It has a king-sized double bed. Bedroom two is another large room with super-king zip-linked beds providing double or twin options. Bedroom three has a large single bed. 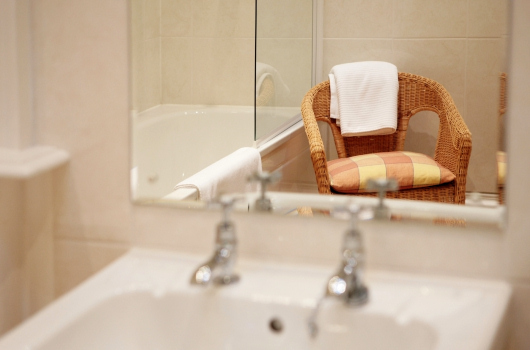 Traditional, large, tiled bathroom with bath and shower over. Lovely visit. Very friendly place to stay. A home from home!